Professor George Litefoot is missing. Henry Gordon Jago hasn’t seen him. They defeated the evil alien airships together, but Litefoot didn’t come to New Year’s at the Red Tavern, and it seems like he might not even turn up to their imminent knighthood ceremony! Ellie Higson, Percival Quick, and Luke Betterman stand at his side, but soon Jago must investigate this infernal incident alone. My review of Series Thirteen of Jago & Litefoot shows that I was reenergised by the range, and looking forward to Series Fourteen. Alas, Trevor Baxter passed away on 16 July 2017; Series Fourteen was scripted but never recorded. Jago & Litefoot Forever provides a coda to the series, working around Baxter’s passing in two different ways, a combination of Litefoot being missing and archival clips of Baxter from previous stories. That said, there are some nice moments along the way, especially for Christopher Benjamin. There’s a really good bit where Jago keeps going even though he’s alone. Jago is charming, resourceful, and ultimately moving as he keeps seeking out Litefoot no matter the cost. Really, the whole story serves to bring us into the coda, a sort of reunion special. 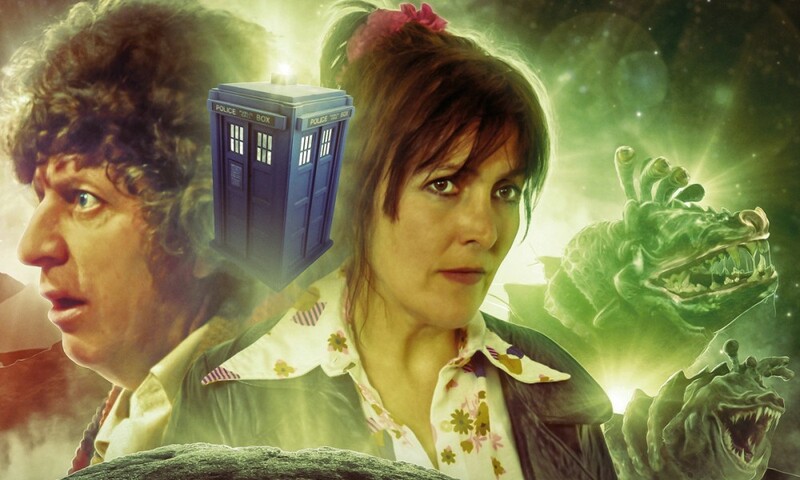 Many of the series’s best guest stars are here: in addition to the already present Lisa Bowerman, Conrad Asquith, and David Warner, we hear from Louise Jameson as Leela, Colin Baker as the Doctor, and Jamie Newall as Aubrey. 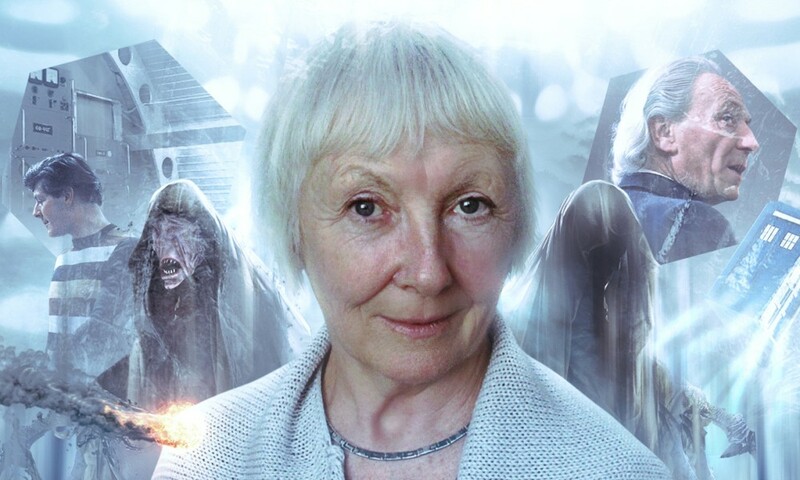 I was a little confused as to why Rowena Cooper turned up as Queen Victoria (given Her Majesty was previously played in Jago & Litefoot by Lizzie Roper, whereas Cooper played Victoria in Torchwood), until I realised that with Cooper, they could get Victoria and Jean Bazemore for the price of one actress. I only missed Duncan Wisbey’s Sacker (I know he’s dead and/or in the 1960s, but still). Otherwise, it’s a charming reunion for Jago and Litefoot, a sort of “this is your life” moment, like going to your wedding anniversary. A number of good friends pay tribute to the best of friends, and the listener feels like these people are all old friends too. The use of archival clips of Trevor Baxter seemed to work. He necessarily has a small part, but not too small. I wonder if you’d notice all the other characters say the key lines if you listened to it blind, not knowing how it was put together. Kudos to Paul Morris for finding all these lines, and to Steve Foxon and Howard Carter on sound design for working them in so well. It’s also really nice to hear one final, mournful rendition of the Jago & Litefoot theme from Jamie Robertson. The Talons of Weng-Chiang was first broadcast in 1977. I first watched it sometime in college, when I bought the story sight unseen on DVD, purely on the basis of its reputation, so we’re talking mid-2000s. 28 years later, Jago and Litefoot still charmed me, and even though they only spend a few minutes together across two of the story’s six episodes, I knew I wanted more. 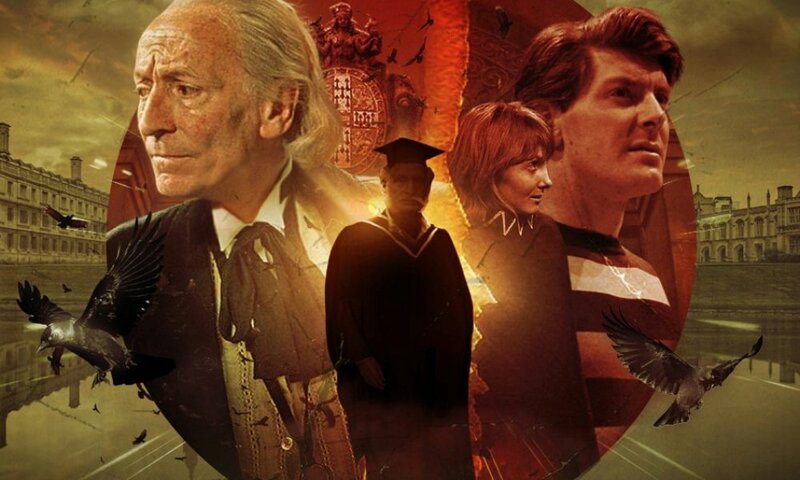 I never dreamed that someday we’d get 14 box sets constituting 56 stories, plus various specials and crossovers. Jago & Litefoot Forever isn’t a perfect story, but it’s a well-deserved tribute to everything we got and everything we were denied. Their adventures deserved to go on forever, and in our hearts, they continue yet. 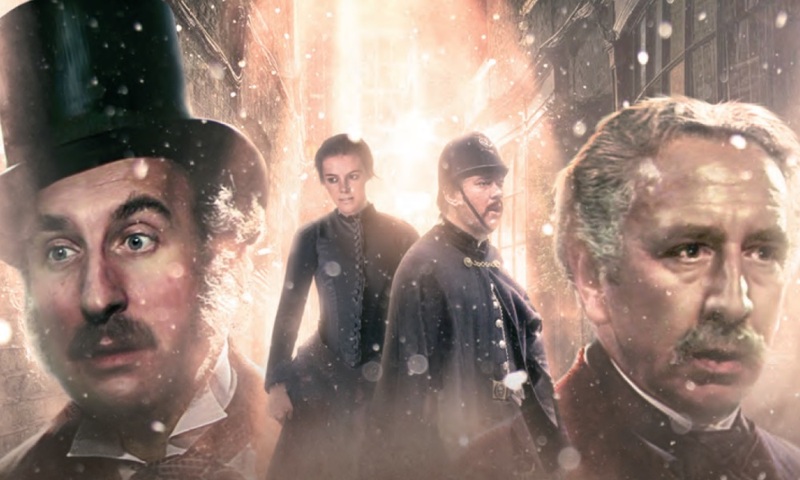 Jago & Litefoot Forever (by Paul Morris; starring Christopher Benjamin, Trevor Baxter, Conrad Asquith, Lisa Bowerman) was released by Big Finish Productions in May 2018.